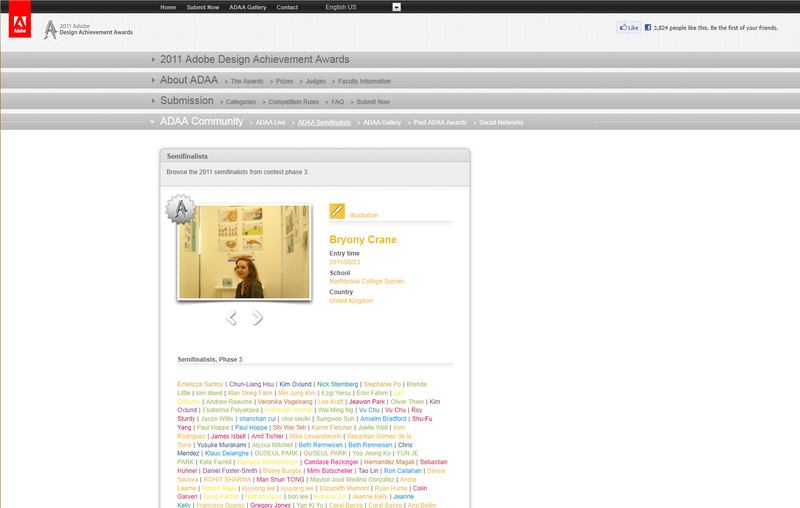 I received a rather exciting email informing me that I am a semifinalist in the Adobe Design Achievement Awards this year! 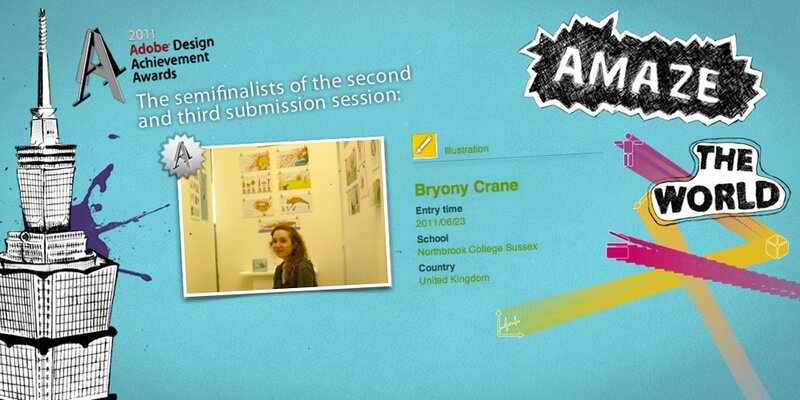 :D To be a semifinalist out of 4605 submissions is fantastic! 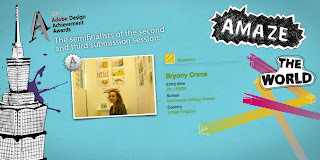 They sent me a little certificate and everything. Eeeeee. OMG That is fantastic...well done.